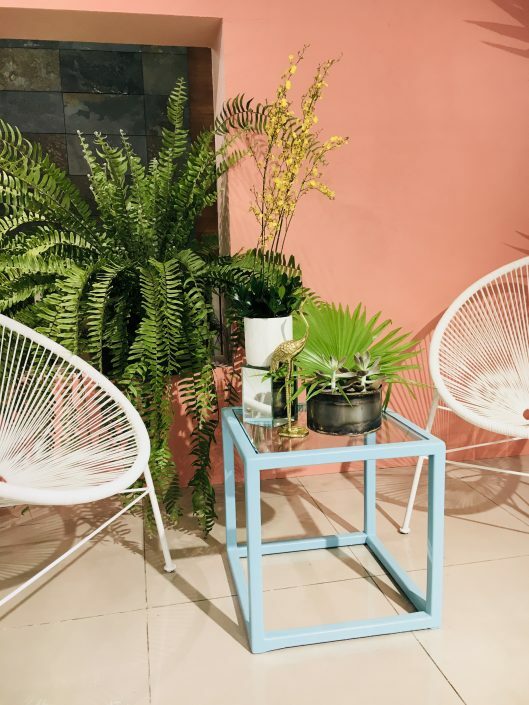 Summer pastel color dreams are made of this. 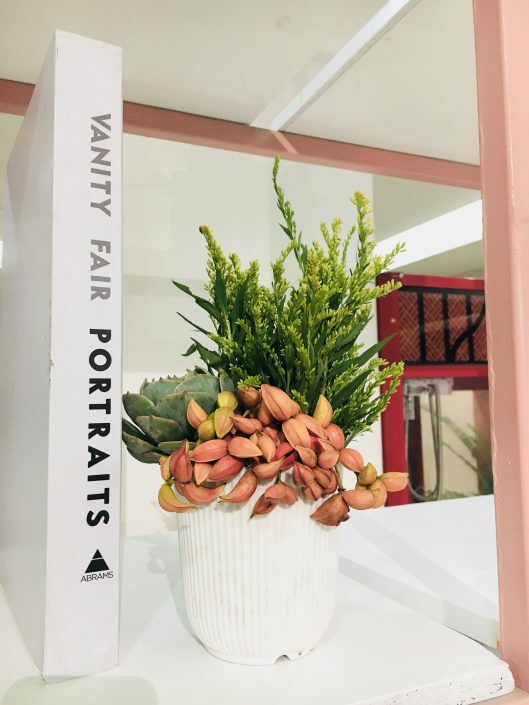 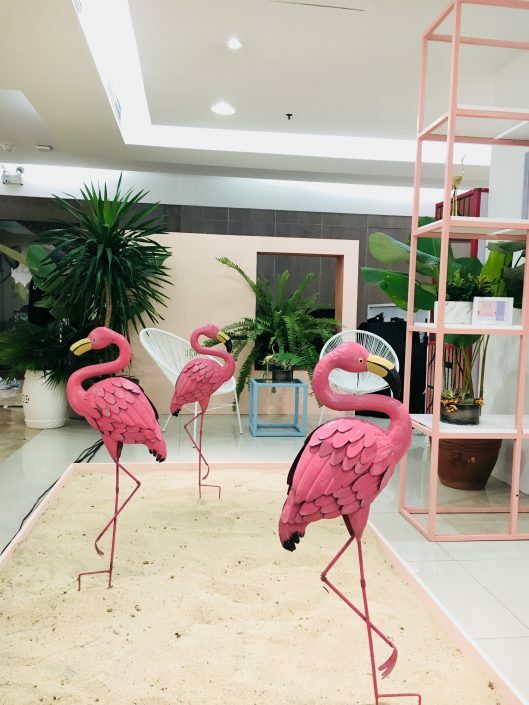 From the interior scene, Instagrammable corners, lounge areas, cocktails, decors, activities, product display to vignettes, Moss Manila makes your dreams come true. 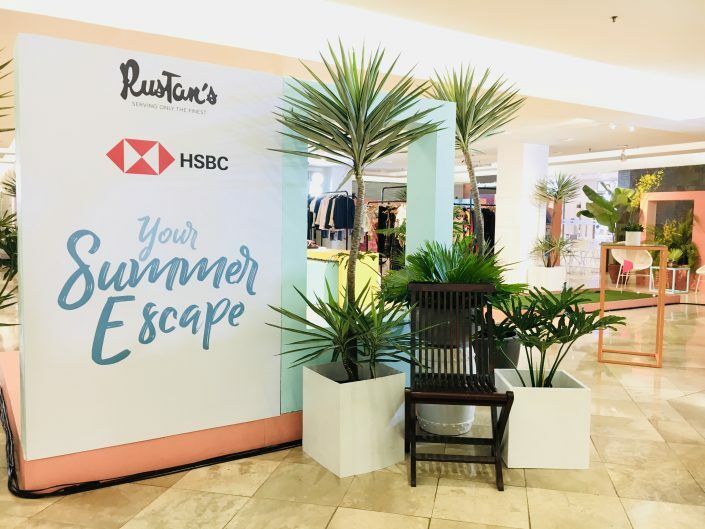 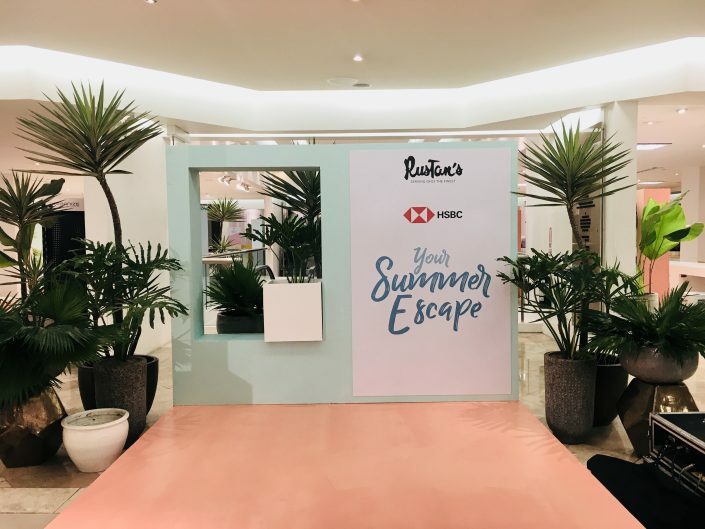 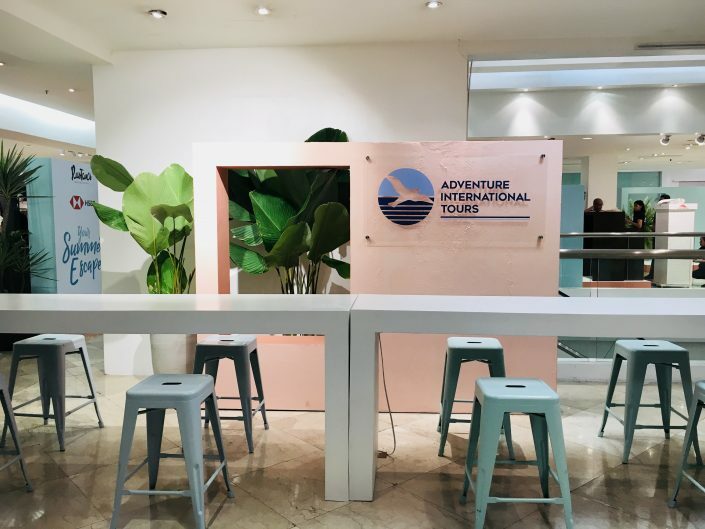 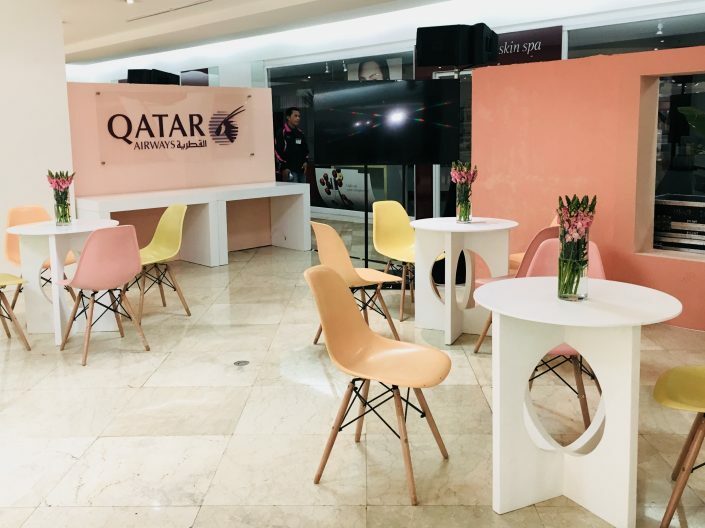 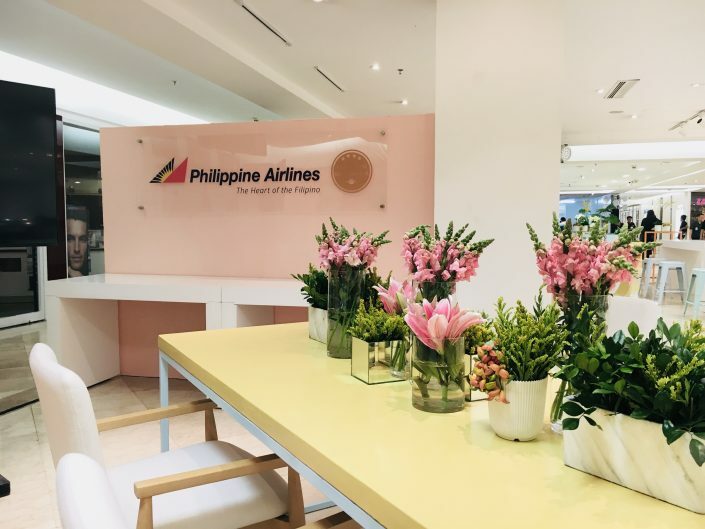 The aesthetic look aimed for Rustan’s travel fair is a cross between Palm Springs and Miami—hip, trendy, cool and very colorful! 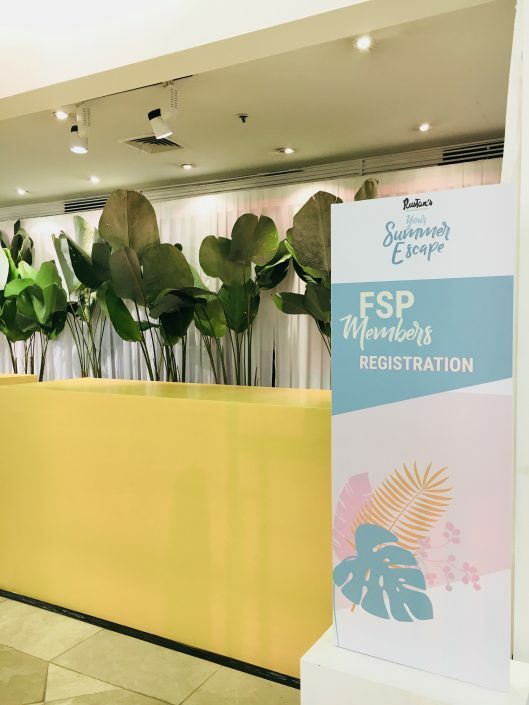 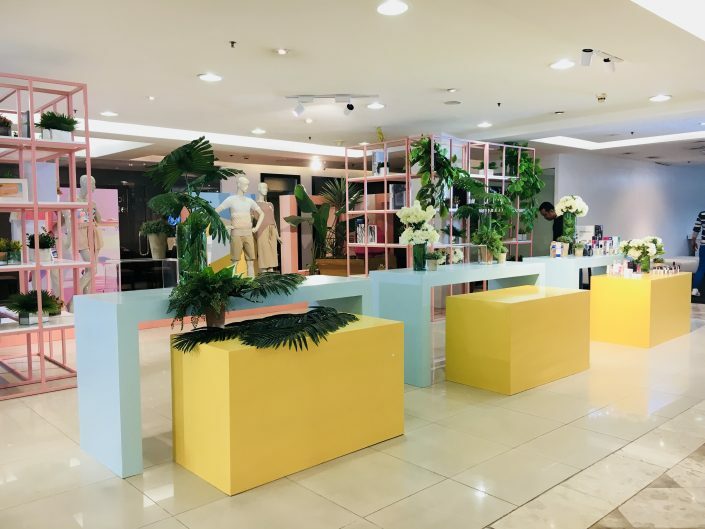 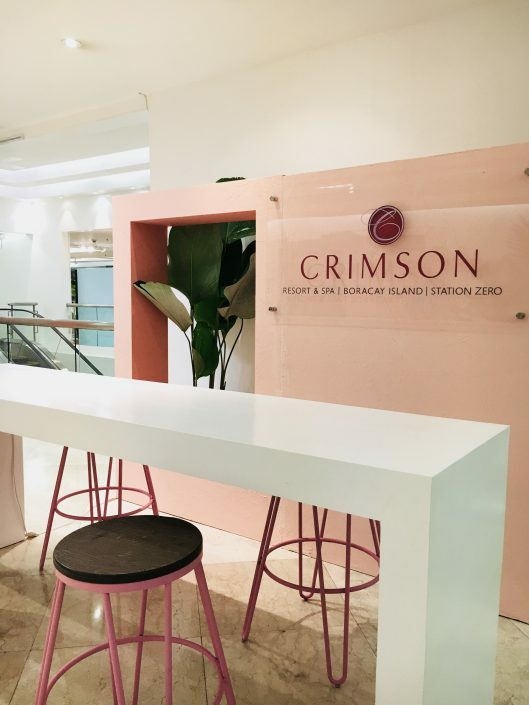 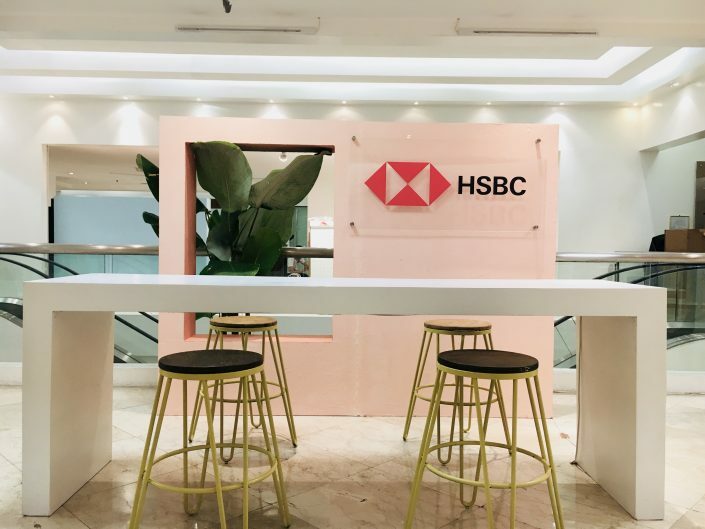 Moss Manila was able to achieve that look by choosing sweet sunset hues of peach, blush, orange and yellow, add indoor tropical and exotic plants, down to the details of our panels in stucco style wall plasters. 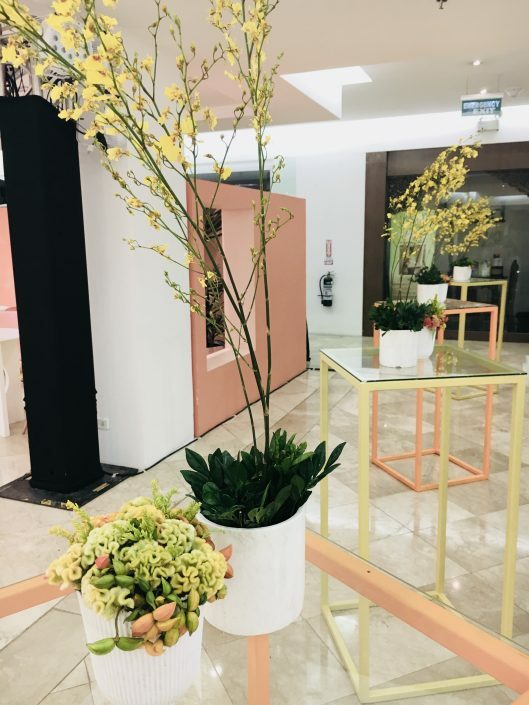 Many have asked, “Who did this?”, Moss Manila does not only design spaces and concepts but we also execute those designs. 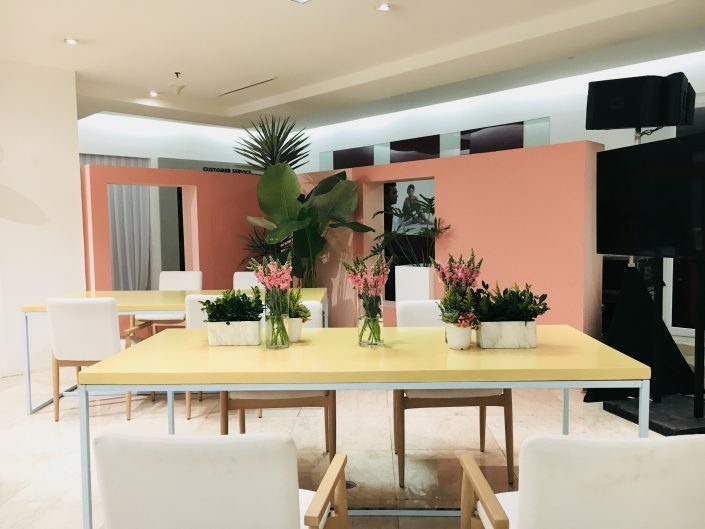 Moss Manila integrates style, elegance, and creative perfection in five platforms of service: Interior Design, Event Design, Exhibit Design, Furniture Rentals, and Fabrications.